I don&apos;t normally see a drop in boat show attendance as a good thing, but to assume it’s not in this case would be a mistake. Two of the early fall in-water shows — the Michigan City (Ind.) Boat Show and the North American (Ohio) Demo Show at Cedar Point — are now in the books, the latter closing on Sunday. Both experienced a drop in attendance but, ironically, their results signal an up year for the fall shows ahead. How does that work? Both the Michigan City and Cedar Point shows risked a big drop in attendance because they each made a major change to their dates. Specifically, after 34 years on the same weekend before Labor Day, Michigan City moved ahead two weeks. Similarly, the Cedar Point show that had run after Labor Day for 44 years moved up to last weekend. "We changed for good reasons going forward," said Ken Alvey, president of the Lake Erie Marine Trades Association, which produces both shows. "While we honestly thought we might get an increase in attendance, we were well aware we could take a big hit. As it turns out, we&apos;re pleased that the drop at each show (Michigan City down 9.4 percent; Cedar Point down 8.1 percent) was really small. We’re sure that’s due solely to the date changes and, in spite of working hard to get the word out, not everyone got it this time around. So we paid our dues this year and the future of these shows looks solid." "Solid" also describes the reaction of dealers to the new Cedar Point show schedule last weekend. "We like the new dates," said Rocky Piacentino of Catawba Moorings (Regulator, Albemarle, Key West). "We honestly see getting a half dozen sales out of it because the dynamics have really changed. When it was after Labor Day, for example, it was tough to get even good prospects excited about follow-up sea trials. This week we have a literal lineup, it’s really different." 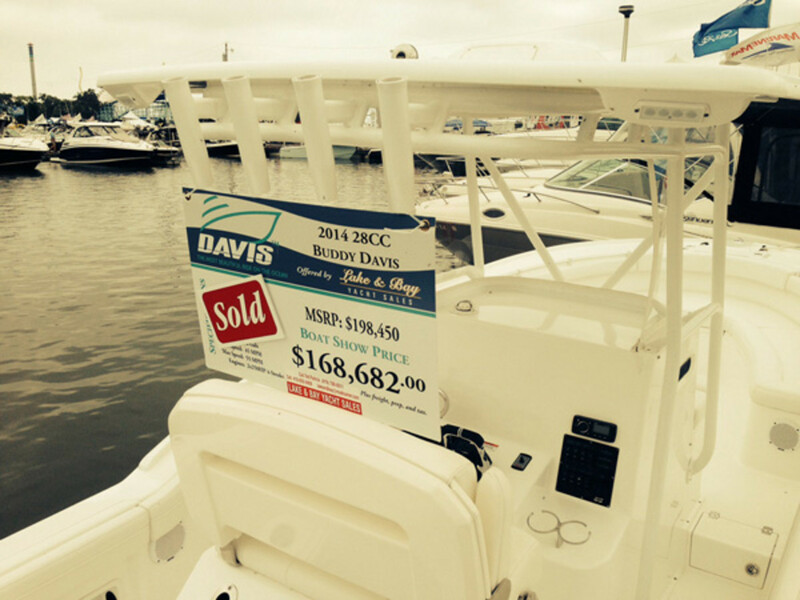 "We haven&apos;t closed a boat at this show in the last couple of years," said Bill Schaeffer of Beaver Park Marina (Sea Fox) "but this weekend we closed our 256 Sea Fox, a 226 Dual Console and we&apos;re working with two great prospects for our 249 and another 226. We think the new setup is a winner." Among the show&apos;s features was the Mercury Advantage Tour Simulator. "Really a great show," said Mercury&apos;s Tad Whitten. "It was exciting to see all the families on the docks with baby strollers and young children in life jackets &apos;helping&apos; to pick out the family&apos;s new boat. It just confirms boating is the activity multiple generations can enjoy together. Thanks for a well-run show." Tray Hardy of MarineMax Port Clinton (Sea Ray, Azimut, Scarab, Sailfish, Meridian) voiced what many other dealers were saying: "We haven&apos;t had a show like this in years. We&apos;ve closed 11 boats so far and with the list of real prospects we&apos;re taking away, I&apos;d be surprised if we don&apos;t add another half dozen by next weekend." So the bottom line is not hard to conclude that the decline in attendance at these two shows, and the reason for it, does not indicate a downward trend for fall shows in general. Indeed, it’s just the opposite. These early results heighten expectations that there will be significant improvement in show sales and attendance as we work our way through the industry&apos;s fall show schedule. The next big tests will come at the Michigan Boating Industry Association&apos;s Boating & Outdoor Festival near Detroit from Sept. 11-14 as well as the Newport (R.I.) International Boat Show that also runs on those dates. They’ll be followed by the Progressive Norwalk (Conn.) Boat Show, which runs Sept. 18-21. Right now, I&apos;m betting we’ll see an upward trend from all three events.